In the middle of the city of Frankfurt am Main is our 'Angel Hotel'. You have 25 spacious, fully renovated and modernized rooms to choose from. Enjoy a rich breakfast buffet for a good start to the day. 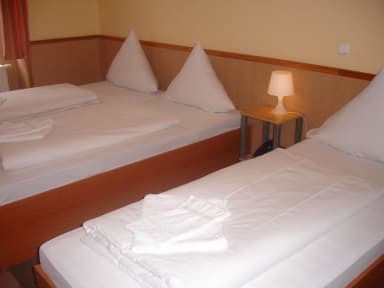 We offer single double and triple rooms to meet your needs with every comfort. 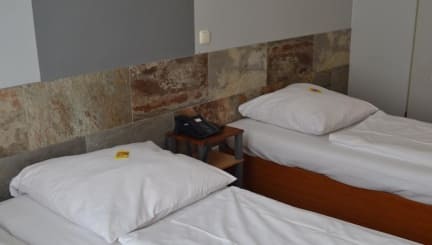 All rooms are equipped with a large shower and toilet, cable TV, telephone and free WiFi connection. Due to the central location, you are very flexible and can handle all your business affairs within a few minutes. The Shopping Mile 'Zeil', Exhibition Center and the Frankfurt International Airport can reached quickly and easily.